The predominant view on the Syrian war, as told by Reuters journalist Samia Nakhoul, is that “there looks to be little chance the rebels can storm the centre of Damascus and attack the seat of Assad’s power.”And that makes sense since the regime of Bashar al-Assad has consolidated its forces in urban areas and can currently bomb rebel-held areas at will. But the Syrian civil war is heading second year with no end in sight. The rebels appear to have a steady stream of foreign fighters and a new source of weapons — including heavy weapons — and it’s no longer unreasonable to think the rebels could eventually reach the heart of the capital. Syria expert Joshua Landis said as much when he predicted that the Assad regime will survive into 2014 before Assad flees the capital and barricades himself in the coastal mountains of his ancestral Alawite homeland (where he’d be able to survive). 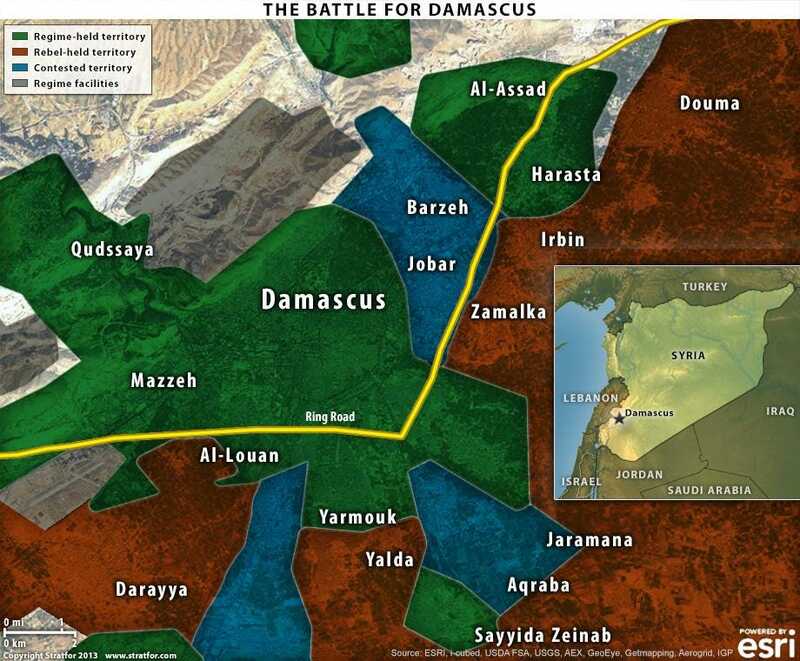 That implies that Damascus will eventually be sacked. This map from Stratfor shows the battles happening right now. The key fight is in Jobar, a contested area that could be a potential path into Damascus proper. Rebel pressure has forced the government to bomb its own capital. Of course, Assad is a long way from defeat and may even have the upper hand. However, the regime’s air monopoly will erode as rebels capture airports, acquire surface-to-air missiles to shoot down planes, and form defector-led air squadrons in the hopes that they’ll eventually commandeer a functional jet. And rebels are progressively taking over major oil fields in the east of the country, which is “very important since they supply regime forces with oil needed to operate heavy equipment” such as the tanks that are protecting the capital. 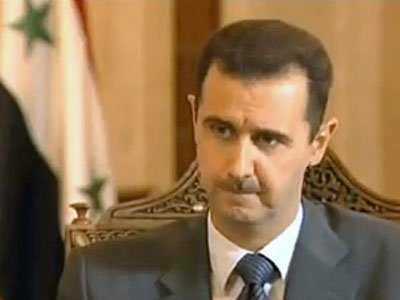 Whether it’s in 2013, 2014, or even later, it now seems inevitable that Assad will be forced from his seat of power.